Everyday we drive down them, or we may even live on them but have you ever taken the time to find out the story behind your street’s name? The streets in Whiting and Robertsdale do more than provide a location or an address. The street names also provide a mirror to the city’s historic past. The history of Whiting-Robertsdale can be divided into three distinct headings: the early pioneers, the advent of the railroad, and the arrival of the Standard Oil Company. The names of the streets can also be separated into these three areas. So read along and discover the story behind your street. Roberts Ave., Amy Ave., Myrtle Ave., and Pearl Ave. The first major landowner in this area was a man named George M. Roberts. Roberts arrived here from Pennsylvania in 1847 and quickly gained a reputation for being a superb hunter. He also was known for his real estate holdings becoming the first person to buy land in what would become the Whiting-Robertsdale area. Between 1851 and 1857, Roberts bought 471 acres from soldiers holding Federal land warrants from the State of Indiana, and from Mexican War veterans for $1.25 an acre. He used 320 acres for a farm where he raised cattle, sheep, hogs and horses. Roberts negotiated the rest of his land to other early settlers and land developers. He was also a generous man, donating a right-of-way across his land to the Pennsylvania Railroad. The railroad went on to build a station on Roberts’ land and named it Robertsdale in honor of the benefactor. This became its legal title in 1872. Roberts Avenue was also named after him. 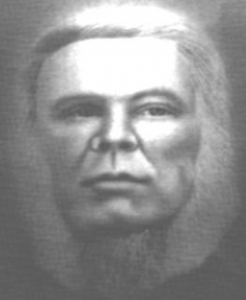 After the death of George Roberts, the majority of his land was left to his daughters. Amy Avenue was named after George Roberts’ daughter Amy who, around the turn of the century, cut up a chunk of her father’s land into lots 25 feet wide by 117.15 to 119.13 feet long. The lots were located in the area that is now found between Roberts and Amy Avenues. 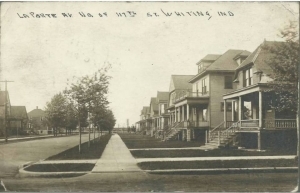 The lots were titled “Roberts’ First Addition to Hammond, Indiana.” This land development was within walking distance of the Green Line trolley, and not far from the Standard Oil refinery, ideal for the new blue-collar homeowners. Myrtle Avenue was originally named Harrison but it was often confused with Harrison Street in Hammond. The name was later changed to Myrtle after Myrtle Gehrke Gardner who was another one of George Roberts’ daughters. She was also very involved as a member of the Robertsdale PTA. Finally, I have been told by a few individuals that Pearl Street was also named after George Roberts’ third daughter, Pearl. The railroads greatly increased the value of the land through which they passed. Therefore, farsighted men with a sense for business took advantage of the low real estate prices of the swamp lands that would become Whiting. One of these men was George W. Clark, for whom Clark Street was named. Clark was a civil engineer in Chicago and one of the most important investors of the area. Clark claimed that he was an engineer for the location of the Baltimore and Ohio, and the Illinois Central railroads, and for the Illinois and Michigan Canal. In 1854, Clark purchased fifty-four tracts of land amounting to 2,979 acres from the State of Indiana. Two years later, he purchased an additional eighty-three tracts from Indiana totaling 8,552 acres. Clark then acquired 1,176 acres through private real estate sales from 1857 to 1859. He was also a shrewd bidder at sheriff tax sales accumulating 6,842 acres in this manner. By 1860, George W. Clark had purchased 19,549 acres of land in Northwest Indiana. The vast areas of Whiting, East Chicago, Hammond and Gary were all built on a portion of Clark’s land. At his death in 1866, Clark left his estate to his sisters, Caroline M. Forsythe, Sarah Jane Clark, and Harriett Clark, and to his brothers, Robert Dunlop Clark and Brig. Gen. Henry Francis Clark. Caroline Avenue was named after his sister, Caroline M. Forsythe. Clark showed his confidence in Caroline’s husband, Jacob Forsythe, by giving him power of attorney for his interests a few weeks before his death. Forsythe was a general freight agent and passenger agent of the Erie Railroad in Chicago at the time. In order to oversee the vast real estate empire that Clark left the Forsythes, they moved with their children to this area in 1867. They went on to purchase the shares from other heirs and were in full possession of the estate by the end of 1868. Jacob Forsythe soon became a major player in the development of this area earning him his own street, Forsythe Avenue. After Caroline and Jacob Forsythe passed away their entire land holdings were passed down to their nine children. One of these children was Oliver Forsythe for whom, I believe, Oliver Street was named. He became the manager of the entire property in 1899. Schrage Avenue is said to be named after Henry Schrage, but the entire family played an important role in the development of Whiting. Some time in the 1840s, Christof Schrage broughthis family from Germany to Chicago. In 1854, Christof, a merchant, bought land in this area and brought his family to these swampy lands becoming the first family of Whiting. Henry Schrage, Christof’s son, joined the Union Army where he fought alongside Sherman on the “March to the Sea.” After the Civil War, Henry came back to Whiting and worked on the railroads making $1.10 a day. 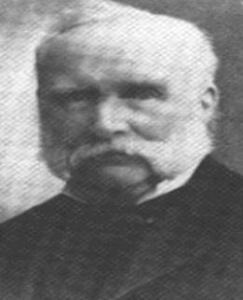 In 1868, Henry Schrage was married to Caroline Wuestenfeldt. 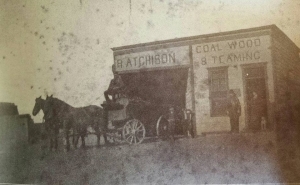 That same year he opened Whiting’s first store, which his wife ran, selling precious commodities to the early settlers. The store was located near the Lake Shore and Michigan Southern station. In 1871, Whiting’s first post office was opened in their store, and Henry became the city’s first postmaster until 1892 when his son Henry, Jr. took over. Fourteen years later, Henry Schrage opened Whiting’s first financial institution, The Bank of Whiting. Henry’s son Walter was also an important member of Whiting’s refinement. 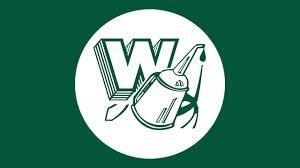 Walter E. Schrage was born in Whiting on December 31, 1884. After completing his education he accepted a job at his father’s bank in 1903. 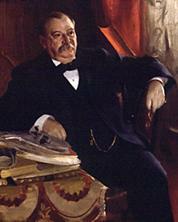 Fourteen years later he was elevated to President of the Bank of Whiting. In 1913, Walter Schrage was elected mayor of Whiting, when he ran on the Citizens’ ticket. He went on to serve as the mayor of Whiting for 15 consecutive years. The story behind the naming of Reese and Steiber Avenues are tied together. Steiber Avenue was named after two early pioneers, Carl and John Steiber who settled in this area between 1850 and 1860. Reese Avenue was named after Henry Reese, one of the early settlers. 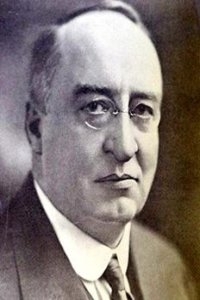 When Henry Reese left his native town of Hohnhurt in Hesse, Germany to come to America, a woman ran out saying, “When you get to America, ask the first man you see, where does Carl Steiber live?” America was not as small as the woman thought, but Reese did soon learn about Carl Steiber. Henry Reese was working in Arlington Heights, when another friend, also a Hessian, told him that Carl Steiber was the section boss on a new railroad in what would become Whiting, and that he was paying his men the wonderfully large wage of $1 a day. In the spring of 1854, Reese brought his wife and three-week-old baby to the Whiting area and was at once put to work by Steiber. There were no houses to be had in the area, so Steiber and his men stopped work for a couple hours and built Reese and his family a log home on the railroad’s right of way. It took fifteen men two hours to build the home. During the 1870s and 1880s Henry Reese also served as a School Trustee in the Whiting-Robertsdale area. Like Reese, there were several early settlers who, although not great land developers or prominent founding fathers, had streets named after them for their love of adventure and their pioneering spirit. Atchison Avenue was named after Robert Atchison who settled in this area between 1850 and 1860. Atchison was a gravel-shipper and owned some property in Whiting. Some time after Carl Steiber retired, Atchison served as section boss on the southern track of the railroad. Robert Atchison’s youngest daughter married George M. Roberts late in his life. Davis Avenue was named after E. S. Davis, an early settler who also worked as a gravel-shipper. Kelly Place was named after the Kellys who were famous in this area. Tim Kelly, Pat Kelly and Jim Kelly were all section bosses for the railroad. They were relatives of old man McCrea, who lived east a few miles down the railroad from Whiting. McCrea had so many children and grandchildren that he was related to almost everybody in the settlements east of Whiting. Benjamin Place, located in Robertsdale, was named after Benjamin Lipshutz, a heating and plumbing contractor for the development of this subdivision. Fischrupp Avenue is named after F. A. Fischrupp. Frederick A. Fischrupp settled in this area between 1880 and 1890. He went on to become the city clerk when Whiting was incorporated as a town in 1895. F. A. Fischrupp brought to Whiting his two sons John and Fred, John Street and Fred Street were named after the Fischrupp brothers. 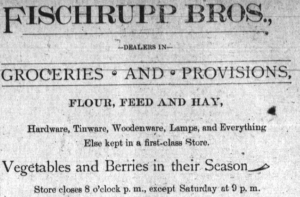 The Fischrupp brothers were the first to start a grocery business in Whiting. 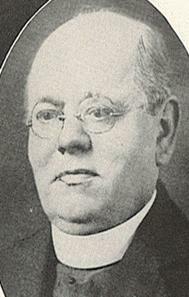 John Fischrupp became a councilman in 1903, when Whiting was incorporated as a city. He later went on to own and operate the Calumet Plumbing and Heating Company. Another one of Whiting’s founding fathers was a man named Henry S. Davidson, for whom Davidson Place was named. Davidson, for many years, was a well known realtor in this area. He also played a key role in the development of many neighborhoods in this vicinity. Henry Davidson was born in Monticello, Iowa, on February 12, 1874. He was the son of James and Ada (Dean) Davidson. He went on to attend Iowa State University, Oberlin College, and in 1904 graduated from the University of Chicago. Davidson started his career in the newspaper field from 1891 to 1895, when he owned and edited the Whiting News. During this same period, he formed a partnership with his brother in the development of real estate holdings throughout Whiting. When Whiting first attempted to be incorporated as a city, the founding fathers were told that the city did not have enough developed land to be considered a city. So, Henry Davidson developed the subdivision from Sheridan Avenue west to Central Avenue giving Whiting enough real estate to technically be called a city. Early on Davidson became one of Whiting’s loudest boosters and was active in a myriad of civic activities. 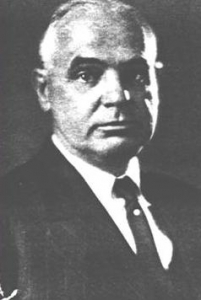 Davidson also served as the first commissioner of public works in 1913. After establishing Sacred Heart Church in 1897, Bishop Rademacher sent to Hungary for a priest who could speak Slovak and who would best minister to the needs of a growing foreign population. In answer to his request, Father Benedict M. Rajcany arrived that year and immediately proceeded to organize a new parish. Father Rajcany’s first task was to build a house of worship. The church was dedicated on July 4, 1897 to St. John the Baptist, because Father Rajcany himself felt like “one crying out in the wilderness” in the frontier that was early Whiting. He then went on to build a pastoral residence and accommodations for pupils and their teachers. 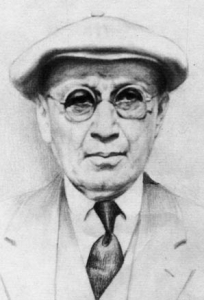 Father Benedict Rajcany was born on February 2, 1869 in Galgocz, Hungary. He was a member of the Franciscan order and was ordained a priest in Tiernan on January 23, 1892. In 1910, St. John the Baptist’s congregation reportedly numbered 1,500 members of which, 1,300 were Whiting residents. By 1924, St John the Baptist had a membership of 3,250 which was the largest Slovak church in the Calumet region. The street to the north of St. John the Baptist church, Benedict Avenue, was named in Father Benedict Rajcany’s honor for his years of dedicated service to the community. Ohio Ave., Pennsylvania Ave. and New York Ave. Although there were some settlers in the Whiting area prior to the arrival of the railroad, many more came after the first railroad tracks were laid. The first railroad that traveled through Whiting was the Northern Indiana Railroad Company. It then became part of the Michigan Southern. The Pennsylvania Railroad Company (Pennsy) opened its line through Whiting on January 1, 1859. The Whiting stop on the Pennsylvania Railroad was established in 1889 and was at first called Fields, who was the head of the Knickerbocker Ice Company, which was the area’s biggest business before the arrival of Standard Oil. The Baltimore & Ohio Railroad, which was completed in 1836, is one of the oldest railroads in the United States and the first common carrier railroad. The New York Central Railroad, which was formed in 1853, was the primary railroad to connect commerce and travellers from the east coast to the midwest. In 1889, a representative from the Standard Oil Company, Theodore M. Towle, was sent to Whiting to purchase land for a new refinery. Because of Whiting’s access to both Chicago and Lake Michigan, which provided an opportunity for water transportation, the Whiting area was an ideal site. Towle left Whiting with 235 acres and construction on the refinery started soon after. It took 1,500 laborers to tackle the immense job of leveling off the sand ridges and constructing the massive oil refinery. 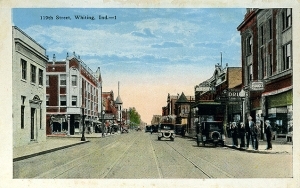 Because Standard Oil transformed Whiting from a hunter’s paradise to a legitimate industrial city, a street in Whiting was named Standard Avenue. Stewart Court was named after Colonel Robert W. Stewart, who was a former chairman of the board of directors and an executive at the Standard Oil Company. 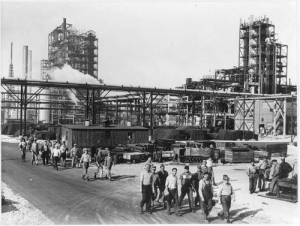 The rapid growth of the automobile industry and the general increase in the use of gasoline engines for other purposes ushered in a new era for the Whiting refinery. In 1909, Dr. William M. Burton, at the time general manager of manufacturing for Standard of Indiana, instructed Robert E. Humphreys, chief chemist in charge of the Whiting laboratory, to go to work on the problem of increasing the yield of gasoline from crude oil. The problem was solved with an innovation called the Burton thermal cracking process. The Burton distillation unit is considered one of the great inventions of modern times. The original still that was created in Whiting, Indiana can be viewed at the Smithsonian Institute. Dr. William M. Burton was honored for his achievements, when Burton Court was named after him. William E. Warwick, for whom Warwick Avenue was named was connected with the refinery since its inception. He devoted himself to public service when he became the first mayor of Whiting, Indiana. Warwick was born in Oshkosh, Wisconsin on January 13, 1861. He came to Whiting after graduating from Iowa State in 1888 with a degree in mechanical engineering. In the fall of 1889, he became a draftsman at the Standard Oil Company. For ten years, Warwick was the head of the paraffin department, he was later advanced to the position of assistant superintendent of the plant in 1903, and years later he became plant superintendent. During the late 1800s, the Jefferson Club was established in Whiting. The club’s membership consisted mainly of Standard Oil employees. The Jefferson Club was a social and political club which was organized immediately after the nomination of Grover Cleveland for President in 1892. The club pledged to promote his campaign and election. Cleveland was very popular among Whiting voters at the time. The club held weekly meetings from the time of the nomination until after the campaign. 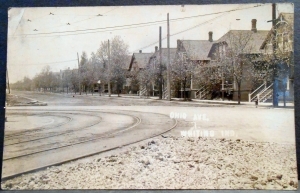 It’s possible that Cleveland Avenue was named after President Cleveland because of the huge support that he had from Whiting’s early residents and the Jefferson Club. The Schrage family weren’t the only individuals to take advantage of the arrival of Standard Oil and the birth of Whiting as a booming industrial town. Gallus J. Bader and Fred J. Smith were two great financial leaders known throughout East Chicago, Indiana Harbor and Whiting. They were the founders of some of the strongest financial institutions in the Calumet area. 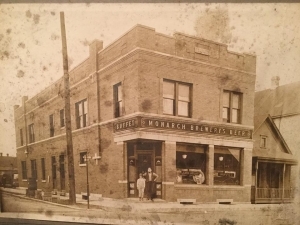 Bader and Smith fist forged a partnership when they established a bakery and restaurant in Whiting. One day one of their guests mentioned that there were many possibilities in Whiting real estate. The young men listened, and after several failures, they found a man who had a piece of property equivalent to thirteen city lots which he was willing to sell for $3,000. The only problem was that the two partners had combined a total savings of $1,000 and had not acquired the art of borrowing. This didn’t stop the two entrepreneurs. The two men asked friends to join in this venture. The property was situated on the corner of New York Avenue and 121st Street and was labeled as the Smith & Bader subdivision. It took three years to sell off the thirteen lots. The first deal was finalized on March 7, 1898. With the proceeds of the first land deal, the two partners purchased nine and a quarter acres from Jacob Forsythe naming it Sheridan Park. These lots were very desirable and sold quickly, which allowed Smith and Bader to retire from the bakery business and to work full time as real estate developers. In 1900 they purchased additional acreage from the Forsythe estate which extended from Sheridan Park to Atchison Avenue and from 117th Street to 119th Street. This area was platted and titled the Central Park subdivision. In the meantime, Smith and Bader bought and sold various small parcels of land. During this time they also started up a large insurance business where they acted as agents for out of town property holders. Thanks to the help of Smith and Bader, Whiting grew from a village of shacks to a beautiful residential city. Their business grew to such an extent that it was necessary to bring on another partner. Smith and Bader selected C. D. Davidson, a rising young real estate man from Whiting who was looking to expand his market. They sold Davidson an interest in their company which increased their capitol stock from $25,000 to $35,000. The Smith, Bader and Davidson company was now able to purchase even more land. The two men were also interested in the development of financial institutions, including the First National Bank of Whiting and the First Trust and Savings of Whiting. It’s possible that while developing Whiting’s neighborhoods with Davidson, Smith and Bader decided to name one of them after their hometown. Both men were born in LaPorte County, Indiana, where their parent’s were pioneers.